The new Lightsaber crafting system has finally dropped! You can customize, create and invent your own Lightsaber setups. The way this works is that players can fill up their inventory with Crystals, Lightsaber Hilts, blueprints and other upgrades. 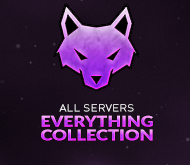 There are over 160 different items to collect and use to customize your Jedi bringing massive diversity to the Jedi faction for the first time on our server. We are using a rarity system so certain crystals like for E.G Unstably inner dark crystals will spawn extremely rarely on the server. Please note; ALL ITEMS can be granted ingame, so there are no strictly restricted pay to win items. Fixed force leap power bug; removed cool down. Fixed Dual lightsaber not attacking consistently; can now attack whilst in movement. Updated TFA to the latest version, new animations and better code for both server and client side performance.